Data are presented as n (%) unless otherwise stated. #: percentages calculated excluding unknown stages and small cell lung cancer. Data are presented as n (%) unless otherwise stated. #: three participants had EGFR mutations but mutation type was not recorded; ¶: two participants displayed more than one mutation. Data are presented as median, p25–p75. 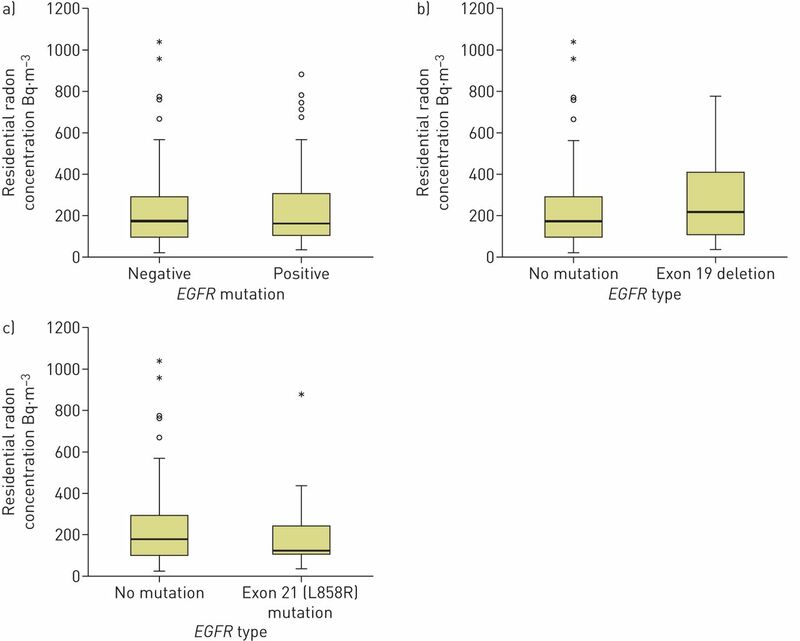 #median test comparing all EGFR mutations; ¶: median test comparing only exon 19 deletions with exon 21 (L858R) single-point substitution mutations.